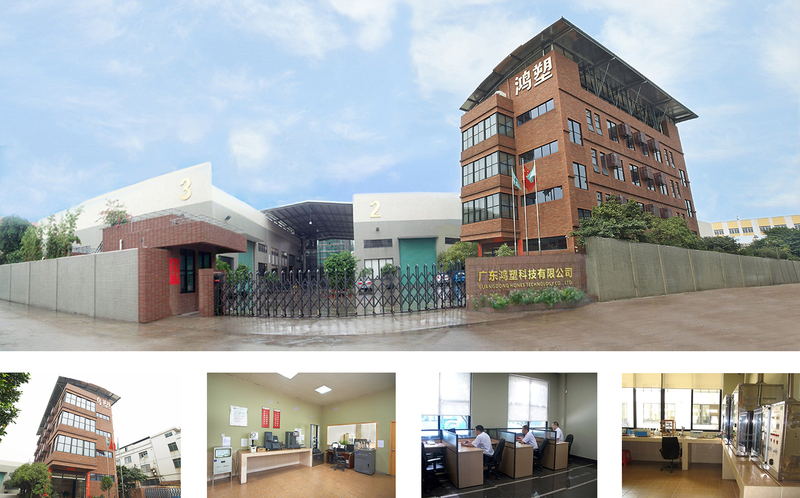 Guangdong Hones Technology Co., Ltd. (Formerly known as Guangdong Shunde Hones Polymer Material Co., Ltd.) is a high-tech company and headquartered in Foshan City of Guangdong Province. Hones has three main business sectors, including engineering plastics business, injection molding parts business and water pump business, which are specialized in manufacturing, marketing, and selling modified PPS, precise plastics molds, and different types of water pumps for agricultural and industrial use. The company has been approved by ISO9000-2008 and TS16949 Quality System, acquired SGS Certification and US UL Safety Certification. To facilitate large-scale production, the company has a total area of 35,000 square meters on the premise, of which 28,000 square meters are useable for production. Benefiting from the strategic location of Guangdong transportation system, the company, located at Yanyuan Industrial Zone (Headquarters) and Fengxiang Industrial Zone, connects well with Zhuhai, Hong Kong, and Macau for timely, efficient, and affordable outbound logistics dispatching our products to every part of the world. The engineering plastics business department manages 10 professional modified plastics production lines, its production scale reached 12000 MT per year. It is specialized in manufacturing, marketing, and selling modified PPS, modified nylon, modified PBT and PC/ABS alloy, PC/PBT alloy materials under the brand of Hones®. The products have been widely mainly used in the military, aviation, spaceflight, navigation, car, train, machinery, electronic appliances, medicine, and health care fields. Our injection molding system contains more than 30 precise injection molding machineries, from 80 to 530 MT clamp capacities, and other types of precise molding machineries. There are 6 intelligent production lines inside a dust-free workshop for water pump business department, with composing capabilities up to 2.4 million sets of water pump per year. Besides, with great effort of our colleagues at the Hones Inspection Center, we make the inspection work standardized and internationalized for each business segment. Clients from around the world have been satisfied with Hones® products. It is largely attributable to a strong team of research and development, and production staff; 65% of whom hold a senior position, and 85% of whom have a college degree. In particular, research and development has been facilitated by government funding and enhanced by close research partnerships with universities in Beijing, Sichuan, Guangzhou. As such, Hones® products exhibits high levels of quality. Research and development is market-oriented, through which Hones® has been progressing and shaping the future with a balance between innovation and practicality. With this in mind, the company has a modified PPS production line crafting enhanced, filling agent, wear- resisting, electric brush level, absorbing wave shielding, anti-static, toughening, alloy materials. These materials are available in eight categories with thirty-five varieties of professional and functional materials. Notably, Hones® PPS is applicable to motor impellers, connectors, precision gears, laser, front car lights, household appliances, relays, sensors, thick wall forming, thin-walled molding, and auto parts. The PPS has high temperature resistant point, high strength, high rigidity, high dielectric performance, and high precision injection of molding parts. To sum up, the company aspires to bring changes to the industry with possibly the best modified PPS material, injection molding parts and marketable products offered to clients. With this in mind, the company offers competitive prices that are substantially low in the market and manufactures products with exceptionally high levels of quality. Your requirements and specifications are not compromised. It is always our pleasure to help you explore your market, grow your business, and exceed your clients’ expectations.